Most of the news from Puerto Rico lately has not been Bueno. The island’s government has declared that it cannot repay its bondholders and will carry out drastic cuts in education and social services. Students at Universities in Puerto Rico have been protesting, and the communities moral is at a low point. However food, is brining hope. The island’s growing with young food entrepreneurs, from chefs to coffee farmers. Last year, Agro hack, a premier agriculture innovation summit whose purpose is to propel agriculture as a sustainable source of growth and economic development drew 650 people. This year, organizers expect 1,500. There is a new wave of interest in food and farming in Puerto Rico. The new trend has Puerto Ricans going to new farmers markets. Chefs are making a point of finding local sources of food. According to Ricardo Fernandez, who is CEO of Puerto Rico Farm Credit, the largest agricultural lender on the island, it’s a dramatic and refreshing break from Puerto Rico’s past. “Historically, agriculture has had a stigma in Puerto Rico,” he says. “It was for low-end workers, people who didn’t get an education. We’re making it more modern, more hip.” People are starting to gravitate towards farming and the food industry. It’s astonishing, how far farming in Puerto Rico has fallen over the past half-century. According to USDA statistics, total sales from Puerto Rico’s farms have declined by two-thirds, in constant dollars, since 1964. Prime agricultural land, much of it previously used to grow sugar cane, are empty with no activity. Despite its tropical climate, which allows farmers to grow food year-round, Puerto Rico imports 80 percent of its food. Puerto Rico’s dependence on imported food. 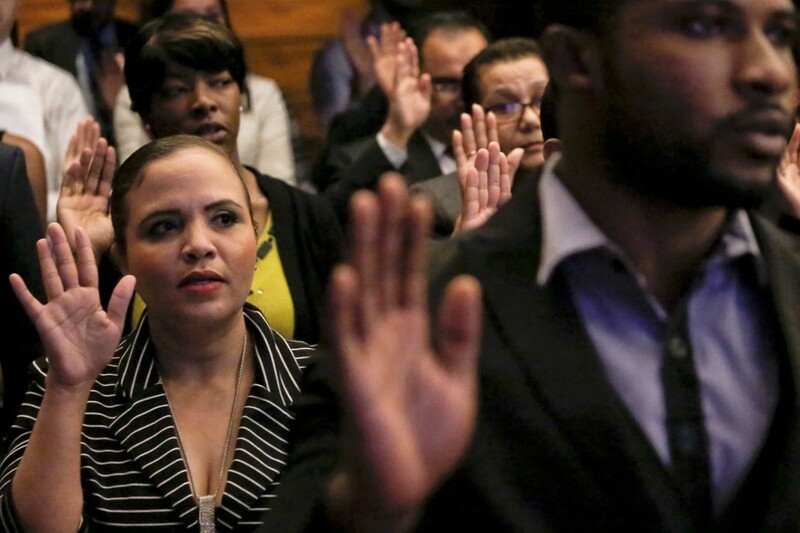 Javier Rivera Aquino, a former secretary of agriculture for Puerto Rico, traced it back to the island’s long history as a Spanish colony, when native farming traditions gave way to large plantations of sugar and coffee that were shipped back to Europe. Food, meanwhile, was imported. In 1964, sugar accounted for almost 50% of all agricultural on the island, and sugar manufacturing accounted for 23 percent of all wages that Puerto Ricans earned. Then, within just a few years, the industry collapsed. According to an analysis by the Federal Reserve Bank of Minneapolis, Puerto Rico’s sugar cane industry was crippled by government policies that prevented sugar producers from getting bigger and more efficient. It couldn’t compete with sugar producers. Puerto Rico’s government now owns the land where sugar once grew. The land is available for investors to lease. Yet much of it still sits idle. Fernandez sees both economic and cultural reasons for this lack of investment. Economically, Puerto Rican producers had difficulty competing with large-scale food producers in the rest of the United States, and elsewhere. Egg producers in Puerto Rico, for example, were wiped out by cheap imports from the mainland. “We didn’t protect ourselves,” Fernandez says. “You can see it in sector after sector.” Also, Puerto Rican consumers didn’t place any extra value on home-grown food. Both of them say that the situation is now changing rapidly. Many consumers now are willing to pay extra for food grown on the island. University students are flocking to classes on agriculture. And Fernandez says the economic crisis is forcing people to try new things. “There’s a resurgence now, because we have to re-invent ourselves,” he says. There are also tax benefits in doing business in Puerto Rico. Some entrepreneurs even see new chances to reverse the historical pattern, and export Puerto Rican food to the mainland U.S. and to Europe. An Israeli company is doing this with mangoes. Others see an opportunity in the growing U.S. demand for grass-fed beef. “There aren’t too many places in the U.S. where you have 365 days a year when you can truly pasture-feed,” says Mike McCloskey, who owns a large dairy operation in Indiana but is launching a livestock grazing operation in Puerto Rico. Many of the new entrepreneurial ventures are small, or not yet in full production. Ricardo Fernandez says they haven’t yet translated into a significant increase in food production on the island. “From what we know, overall agricultural production is flat,” he says. But he expects that to change within a few years. “It’s at a turning point, but we need to do more,” he says. 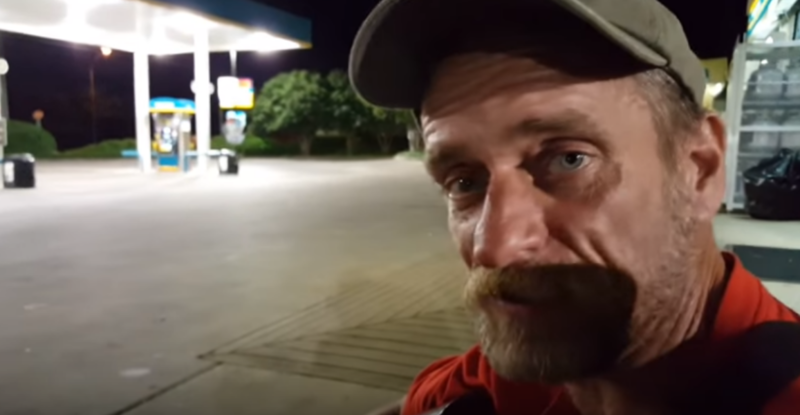 YOU need to LISTEN to what this HOMELESS man has to SAY! !